PPG Industries’ aerospace transparencies group has begun deliveries of production windshields and side cockpit windows to Eclipse Aerospace for the Eclipse 550 jet. Optical quality of the PPG heated windshields has exceeded Eclipse’s expectations, according to officials of the airframe manufacturer. “Eclipse Aerospace is delighted to have incorporated a newly designed windscreen offering for our Eclipse 550 customers,” said Edward Lundeen, Eclipse Aerospace senior vice president, business operations. “The glass-faced acrylic design is expected to be very well received by our customers. 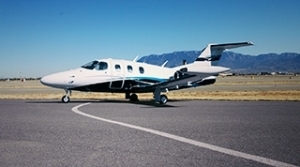 PPG’s and Eclipse’s design engineers worked closely to develop this application for the Eclipse 550, which we believe has resulted in a product that will perform extremely well,” he said. The PPG windshields also fit the Eclipse 500 and are available as replacements for that aircraft model. 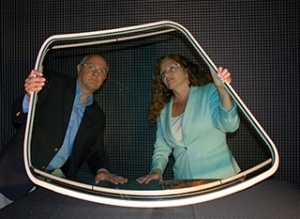 PPG delivers the new lightweight cockpit windows from its Sylmar, Calif., facility. Visitors to the National Business Aviation Association convention and exhibition in Las Vegas have an opportunity to see the PPG windshields on the first production Eclipse 550 jet. The event takes place Oct. 22-24 at the Las Vegas Convention Center.